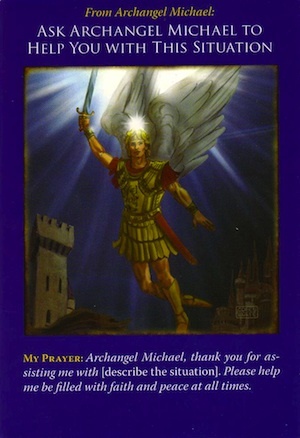 Card of the Day ~Ask Archangel Michael To Help You With This Situation~ The situation that’s concerning you can improve with Archangel Michael’s help. This card serves as a reminder that it’s never too late to get the angels involved, and their assistance will improve everything immediately...including giving you inner peace, new ideas, and insights. Michael will help you in ingenious and unexpected ways, so be open to miracles that take on surprising forms. I can share with you that today’s card in not only guidance for you, it was guidance for me. Only I received this particular guidance several days ago when talking with AA Michael. Believe me turning to AA Michael for help with your situation really works. Hold on to faith and know there is a solution to every problem. I pray you have a fantastic day. I love you all!